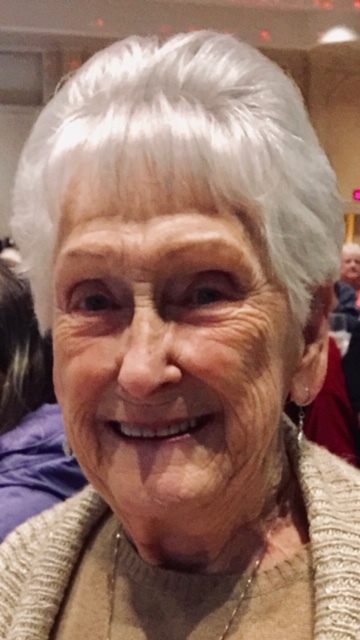 Jaunita Morris, 90 of Erlanger, KY passed away peacefully surrounded by her family on April 4, 2019. She and her late Husband, Marion “Duke” Morris were the Owner/Operators of the former Morris Glass Shop and Xenia Auto Radiator. She was a member of the V.F.W. Women’s Auxiliary. Jaunita was also preceded in death by her parents Lewis and Emily Frances Morris: sisters Marie Boots, Ada Humphrey and Georgia Colliver; and brother Odell Morris. She is survived by her Children: Donald R. Morris and Sheila J. Hull; Granddaughter: Lydia J. Jones (Billy); Chosen Daughters: Susan “Susie” Lanich and Sharon Gentry; Chosen Grandchildren: Jacob Jenkins, Kati Miller, Heather Lacy, Gabby Seymour, and she will be greatly missed by countless family and friends who loved her dearly. A Visitation will take place on Tuesday, April 9, 2019 at Floral Hills Funeral Home from 5 pm until 8 pm. Funeral Service on Wednesday, April 10, 2019 at 11 AM at Floral Hills Funeral Home. Interment will follow in Forest Lawn Memorial Park in Erlanger, KY. Memorials are suggested to St. Elizabeth Hospice. Online condolences may be expressed at www.floralhillsmemorialgardens.com.